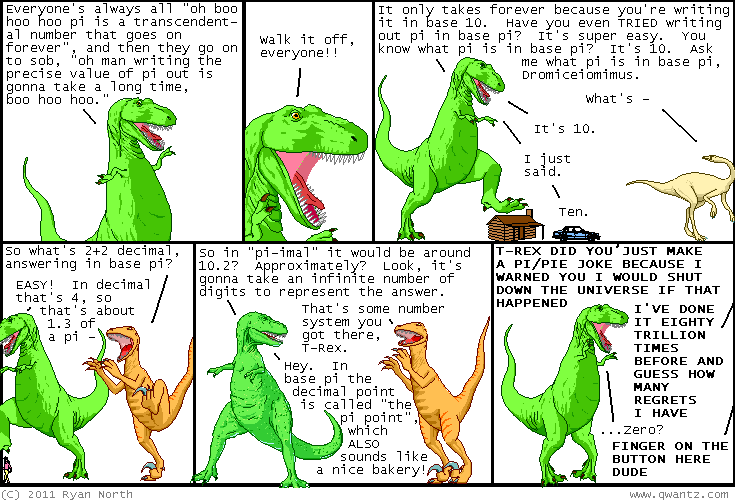 Dinosaur Comics - October 12th, 2011 - awesome fun times! October 12th, 2011: You know how Matt and David and I are reading almost 2000 stories for Machine of Death 2? David made a gorgeous print of all of the titles of these stories, sized by frequency. It is amazing.